Nokia 6 Arte Black, the special edition model that was announced at MWC 2017, seems set to launch in the US soon. Compared to the standard Nokia 6 that comes with 3GB RAM and 32GB internal storage, the Arte Black variant features 4GB RAM and 64GB inbuilt storage. As for the price, the listing mentions that the Nokia 6 Arte Black price will be $299 (roughly Rs. 19,400) in the US. This is $70 (approximately Rs. 4,500) higher than the price of the standard version of the handset in the country. As spotted by PhoneArena, Amazon has listed the factory unlocked variant of the Nokia 6 Arte Black. The smartphone was temporarily out of stock at the time of writing on the e-commerce site, which has been the official retail partner for the brand in the US. However, the online listing is allowing customers to place an order. The handset also comes with US warranty - suggesting its official launch for the near future. The price of the Nokia 6 Arte Black is $70 more than its original version that was launched at $229.99 (roughly Rs. 14,800) earlier this year. The higher price brings not just more RAM and storage over the combination of 3GB of RAM and 32GB of storage space on the regular Nokia 6 version. It also includes a glossy back instead of the matte rear of the previous sibling. The new finish makes the handset a premium-looking device. Apart from the RAM, storage and the new back panel, the Nokia 6 Arte Black and the original Nokia 6 have no differences. Both have a 5.5-inch full-HD IPS display with Corning Gorilla Glass protection, Qualcomm's Snapdragon 430 chipset, 16-megapixel rear camera sensor with PDAF and an 8-megapixel autofocus front camera sensor. The Nokia 6 includes a dual-speaker setup and has Dolby Atmos sound as well as a 3,000mAh battery. There are plenty of connectivity options such as Bluetooth v4.1, Wi-Fi 802.11 a/b/g/n, A-GPS, NFC and a Micro-USB port with OTG support. Besides, the smartphone has a fingerprint sensor on the rear and comes with 4G VoLTE. Back in June, HMD Global launched the regular Nokia 6 (review) in India with a price tag of Rs. 14,999. The handset is currently available for purchase through Amazon India in three colour options, including Matte Black, Silver, and Tempered Blue. 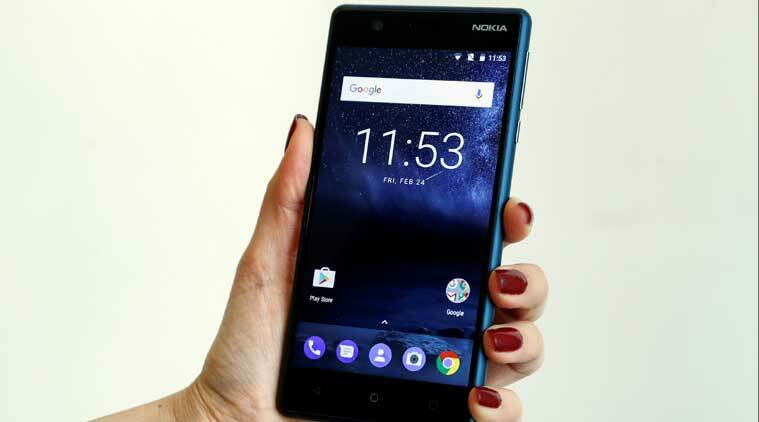 There is no word on the availability of the Nokia 6 Arte Black in India. We'll update this space.